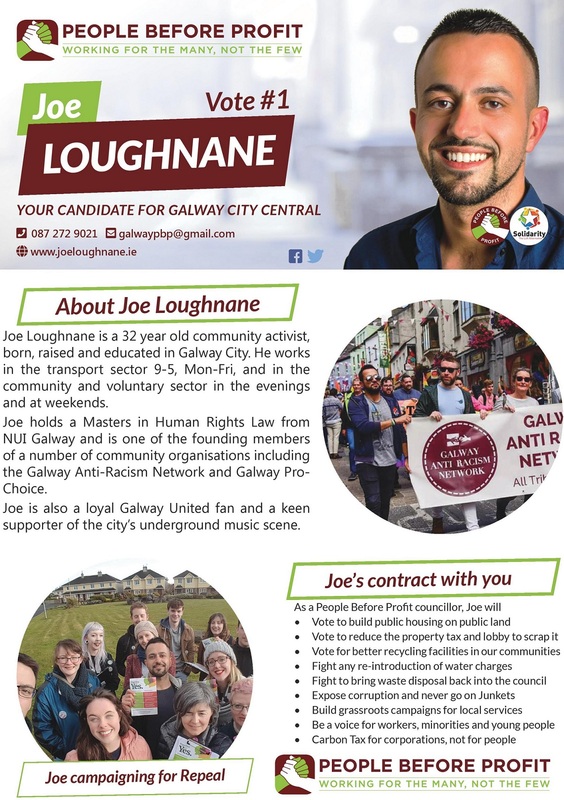 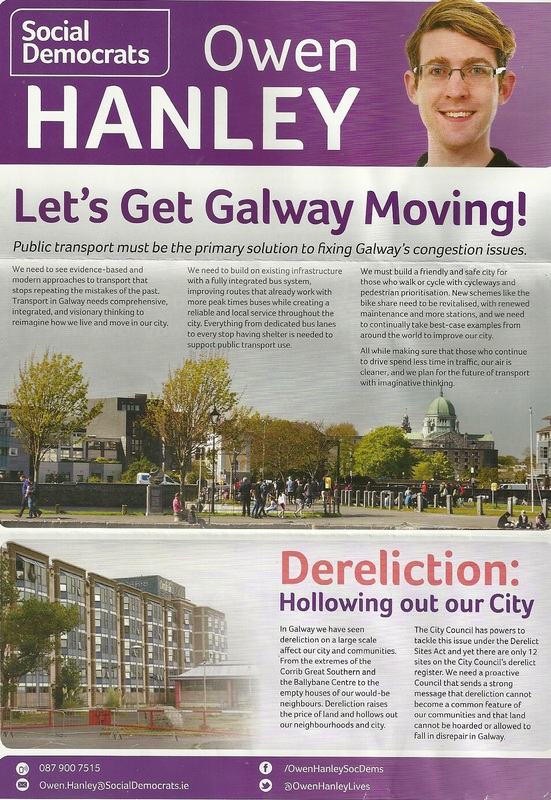 A Leaflet from Joe Loughnane who is running for People Before Profit in Galway City Central for a seat on Galway City Council. 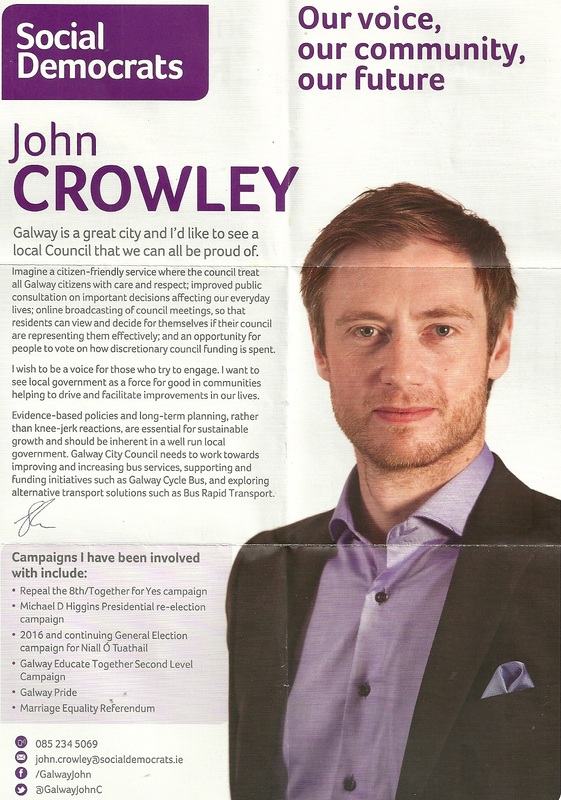 A Leaflet from John Crowley who is running for The Social Democrats in The Galway City West Ward. 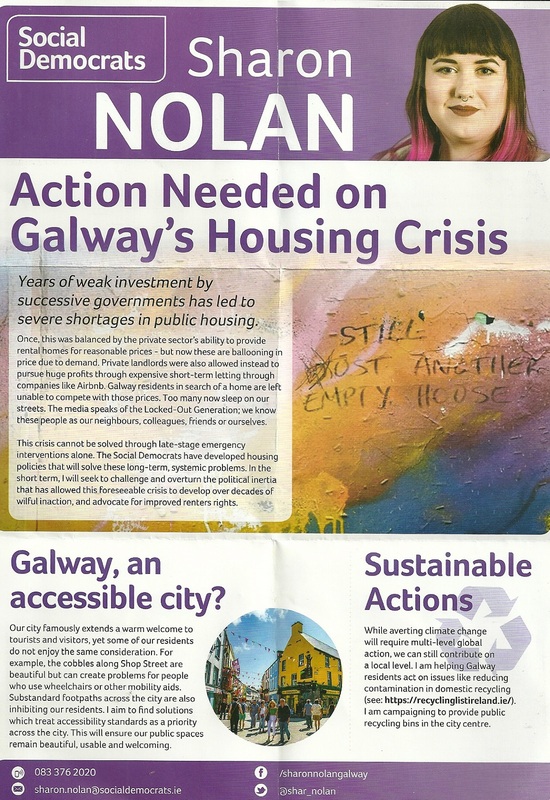 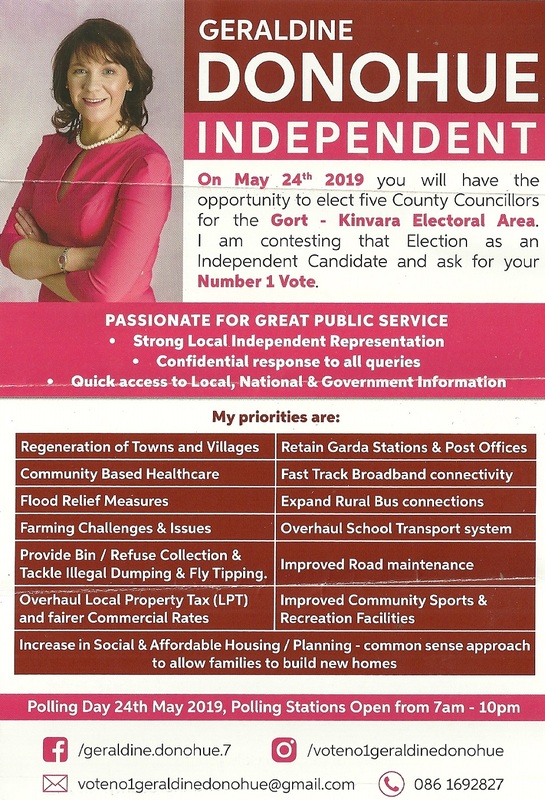 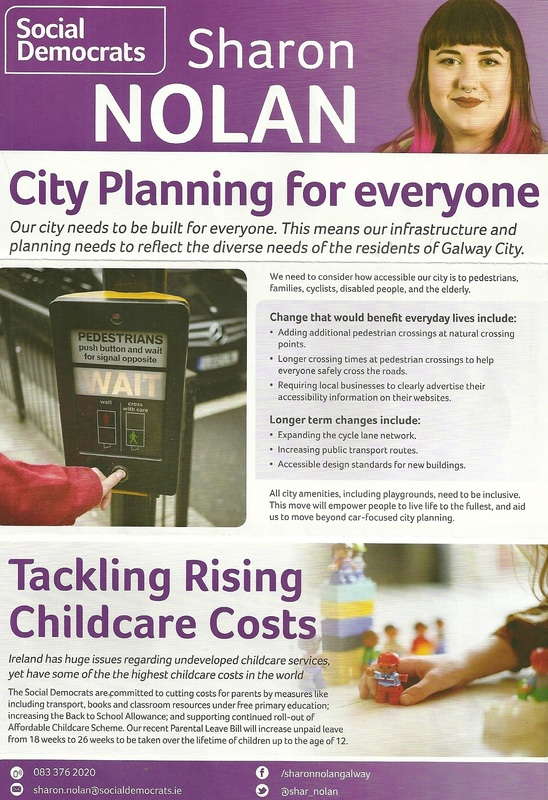 A Leaflet from Sharon Nolan who is running in the Galway City Central LEA for The Social Democrats in the 2019 Local Elections.